Car Rental and DVLA Codes – Do I Need One? Home » Blog » Car Rental and DVLA Codes – Do I Need One? 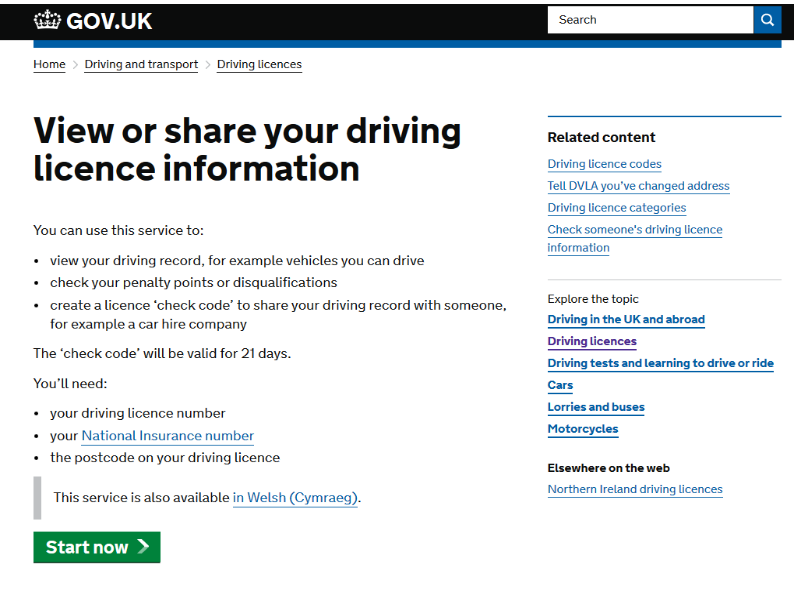 It’s a code you can obtain online, by post or by phone from the DVLA. Your code will be current for 21 days and can only be used once. The correct term is check code and it has been introduced as the paper part of driving licences is phased out, and the information contained on it brought online. After you’ve either used your code or the time limit is up, you’ll have to apply for another one, but you can have up to 15 active codes at any one time. It affects you if you have an English, Welsh, or Scottish driving licence, but not if yours was issued in Northern Ireland. Now that the paper part of the licence is being phased out, it’s a way of sharing your driver’s licence information with other people, in this case car rental companies. It allows the company to check the number of penalty points you may have and any disqualifications. In the UK it’s a legal requirement for car rental companies to check your driving record so you’ll need one there, but according to some feedback we get they’re not always asked for, despite the law. In other countries the requirement for the code varies so it’s better to have one just in case. If you don’t have one, lose it, or it’s expired, it’s not the end of the world as the rental company can phone the DVLA with your details. Be aware though that this will cost you extra for phone charges and, depending on the time zone you’re in, a very long wait. You’ll need you’re driving licence number, NI number, and the postcode on your driving licence. From anecdotal feedback, you may not be asked for a code but as it’s a simple process to get one you’re better off with it. And you may save yourself a long wait and a pricey phone call.